12-year old site updates its content to give visitors huge Black Friday savings on laptop computers, corporate business gifts and holiday gifts in general. Bizwaremagic updates its content to reflect all the special holiday discounts/savings on laptops, business gifts & holiday gifts in general. Bizwaremagic.com is updating its content to reflect all the special Black Friday & Cyber Monday discounts/savings which can be had by the alert online holiday shopper. Special holiday deals feature great laptop computer discount coupons from many of the major manufacturers such as Dell, HP, Toshiba, Alienware, Lenovo and more. There are also special deals on corporate business gifts where patrons can quickly find affordable holiday gifts for the boss, employees or business clients. As an important component of its site, Bizwaremagic runs numerous free online guides where subscribers and visitors can obtain helpful valuable information on different products and services related to running a business. 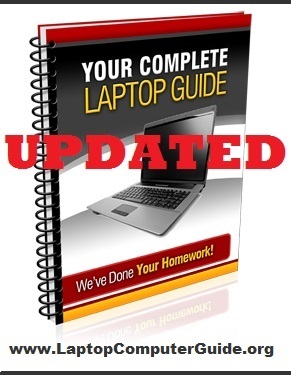 These include guides on Internet Fax, Laptop Computers, RSS, List Building, Corporate Business Gifts and more. At the forefront of these buying guides is helpful information that give the potential consumer valuable information in order to make a wise decision. The overall motto for these guides is "Become an educated buyer and save" that is featured throughout the Bizwaremagic site. During the holiday season special discounts and deals are featured so that these guide users and visitors can take advantage of all the great savings. Visitors and shoppers can also find dedicated web pages geared to presenting the latest Dell, HP and Alienware coupons. These discount pages are updated hourly during the hectic holiday season so bargain hunters should bookmark these pages if they want the latest offers. In past years, these special pages and deals have proven to be the most popular. This year should prove no different, especially when one considers Alienware has introduced three new products recently. The Alpha gaming console, the Alienware 13 laptop and the re-designed Ares-51 gaming desktop computer which is creating a lot of buzz in the gaming world. 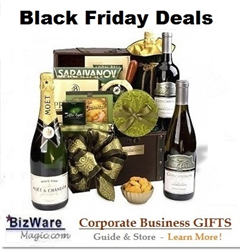 Not to be outdone, special deals on corporate business gifts have also been hugely popular - which is not surprising given the overall theme of the Bizwaremagic site. Business owners and employees can quickly find a suitable gift for the upcoming holiday gift-giving season. As a new feature this year these gift-givers can shop directly on the Bizwaremagic site using the handy Amazon storefronts with Amazon's secure checkout and quick delivery. There is also a convenient Amazon laptop computer store directly on-site so holiday shoppers can quickly take advantage of all those special holiday deals.